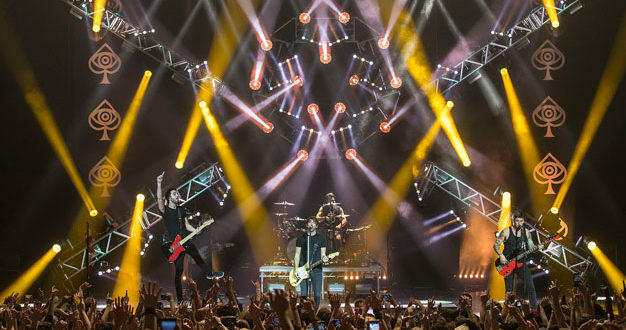 Adlib recently supplied two Midas ProX consoles for the latest UK and European tour by lively US punk-pop band All Time Low, continuing a long-standing working relationship with the band and their engineers Phil Gornell at FOH and Ricky Fernandez on monitors. 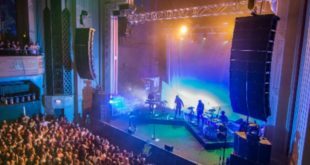 Adlib’s new Glasgow based Scottish division supplied L-Acoustics racks-and-stacks to the two Scottish gigs – at Glasgow Academy and Edinburgh Corn Exchange – together with technician Andy Russell. The three weeks of dates were a ‘teaser’ for the band’s forthcoming album, The Young Renegades, released in June. Gornell, who has worked with the company on a variety of tours since 2008 and is also a studio engineer with his own facility in Sheffield, started specifying the ProX a couple of years ago, initially to mix a Bring Me The Horizon tour, with sound equipment also from Adlib. 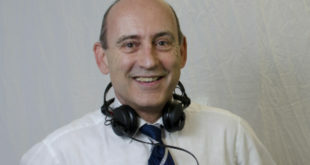 Currently he is using 72 channels – quite a lot from a four-piece band with one additional musician onstage. The abundance of inputs and outputs as well as the onboard processing offers Gornell everything he needs without running an additional rack or a laptop, including 22 x DSP FX and three different inner effects racks. The console’s Neutron System Engine ‘brain’ and DL431 48-channel splitter sit onstage, leaving an expedient FOH footprint especially handy for the smaller venues. The DL431 enables one mic input to be sent to two independent preamps, so the master source can be worked on by both FOH and monitor engineers simultaneously and treated accordingly. As Gornell pointed out, this had been possible before, but this is the first time using just one rack device. Gornell (pictured, below) effectively masters the live mix using his own Waves Maxx BCL as a compressor, bass enhancer and limiter. On this occasion, the set up enabled him to accentuate some of the more refined and highly distinctive All Time Low sounds that fans love. 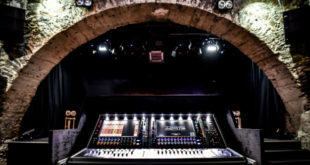 Adlib director Dave Jones immediately organised a new console which was delivered for the next show in Edinburgh, where Gornell also made use of a full Adlib audio package. This comprised 24 x L-Acoustics K2 speakers with SB 28 subs plus ARCs and dV-DOSC infills, all driven by LA8 amps, supplied with all the associated rigging and motors. For the tour’s two opening acts, ‘Waterparks’ and ‘Swmrs’, Adlib also supplied a full MP4 wedge monitor system complete with a mics-and-stands package.